Pehin Dato Yahya Bakar is the Minister for Energy at the Prime Minister’s Office. He was previously the Permanent Secretary I at the Prime Minister’s Office. 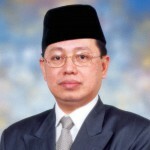 He holds many other portfolios including being the Chairman of Brunei Investment Agency.